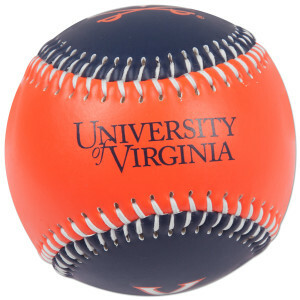 The University of Virginia has been playing baseball on the collegiate level since 1889. They currently are in the Coastal Division of the Atlantic Coast Conference. Their team nickname is the Cavaliers and their team’s colors are navy blue and orange. UVA baseball has made the NCAA tournament 13 times — including every years since 2004 — and have reached two College World Series. They have twice won their conference championship. 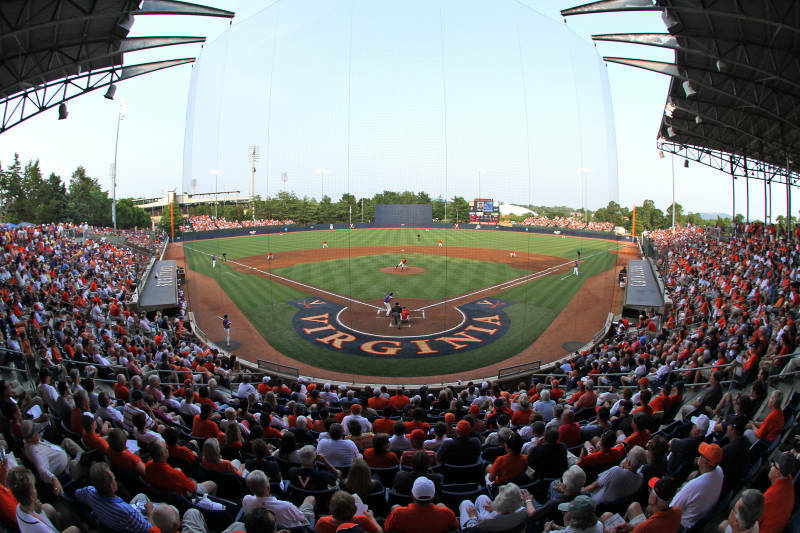 Since 2002 the Cavaliers have played at Davenport Field in Charlottesville, Virginia, which seats 5000. 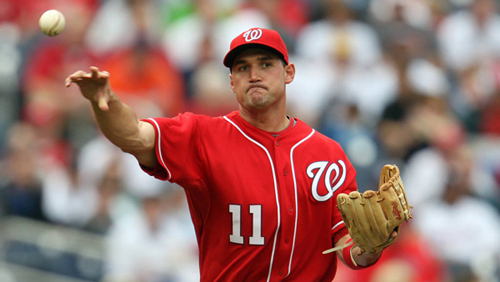 Their coach since 2004, when the team started their streak of national post-season appearances, is Brian O’Connor. Although UVA began playing baseball in 1892 for most of its history the program was somewhat of an afterthought. It did have it moments, making the NCAA tournament in 1972, 1985 and 1996. It had also produced a few quality big leaguers, most prominently Hall of Famer Eppa Rixey ,who who had gone from UVA to the Philadelphia Phillies in 1912, skipping the minor leagues entirely. But with the hiring of O’Connor, a former minor league pitcher and Notre Dame baseball assistant coach, UVA almost immediately became a baseball power. In 2004, O’Connor’s first year, he coached UVA to 44-15 overall record including 18 wins in the ACC, which was the most in Cavelier history. The team, which was led by sluggers Mark Reynolds and Ryan Zimmerman, also hosted a regional NCAA Tournament game for the first time. In 2009 UVA reached their first College World Series, finishing in fifth place. O’Connor was named coach of the year. In 2010 the Cavaliers were ranked number one nationally for the first time in their program’s history, and held the top spot for 14 weeks. They also won their first ACC title. In 2011, UVA baseball hit number one again during the regular season and ended the postseason with a third place finish at the College World Series. Apart from O’Connor, the other big factor in Virginia’s recent success has been their home ballpark, Davenport Field, which opened in 2002. By having a world class college baseball stadium Virginia was now able to schedule home games against top out-of conference teams which would previously have to have been played on the road. Because the stadium is lit, it also allows for more practice time. During its 12 years of existence Davenport Field has been expanded multiple times, going from a 3600 capacity to about a 5000 capacity. On April 14, 2012 a stadium record 5,074 fans watched UVA take on Florida State. The Cavaliers averaged 3189 fans a game in 2013, 16th best in Division 1 baseball. Brandon Guyer, Michael Schwimer, Sean Doolittle, David Adams, Philip Gosselin. College World Series appearances: 2009, 2011.